Ok, so its pretty clear I’m a bit rubbish at remembering to take a picture every day, seeing as this weeks post starts off with Wednesday’s outfit – oops. I’m really sorry, everything is a bit crazy at the minute as I’m in the middle of planning a big event with Uni! Plus, I need a normal lens for my DSLR in order to take pictures myself, as the one I have starts too zoomed in for that! 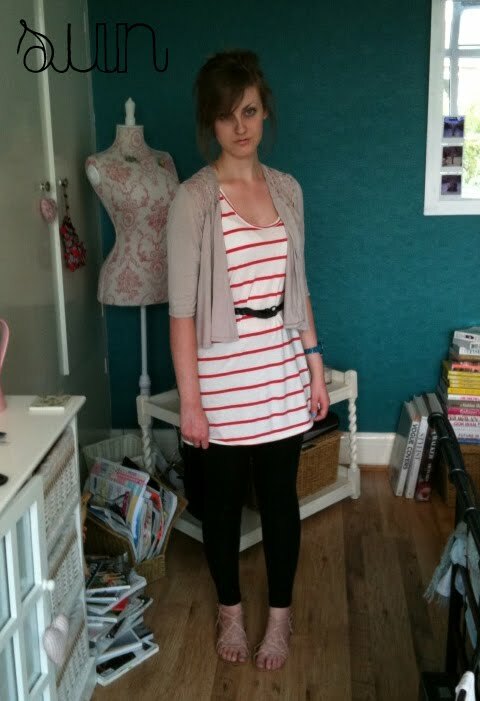 I have made up for the lack of days, by including todays outfit also! T-shirt – ASOS, Blouse – Primark @ eBay, Jeans – Dorothy Perkins, Bag – Primark, Flip flops – George @ Asda. Bandeau top – H&M, Button up Vest – Topshop, Culottes – F&F @ Tesco. Maxi Dress – Dorothy Perkins, Denim Jacket – Primark. Crochet Detail Cardigan – Primark, Vest – F&F @ Tesco, Belt – Primark, Leggings – Topshop, Sandals – Dorothy Perkins. 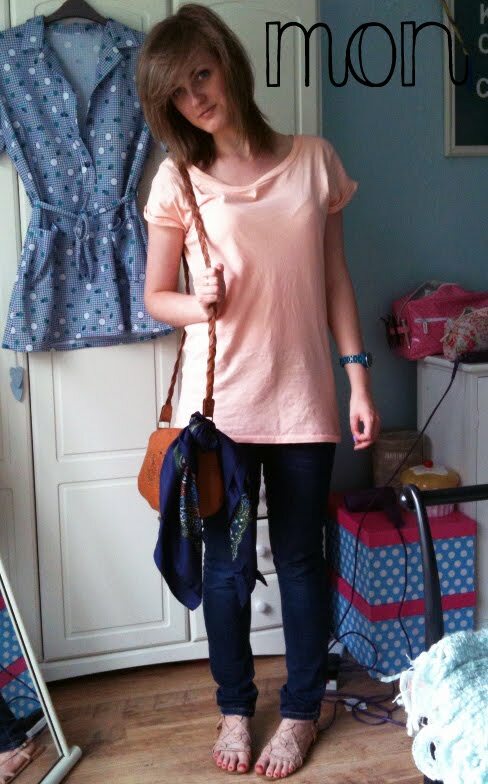 T Shirt – ASOS, Jeans – Topshop @ eBay, Bag – Primark, Scarf (tied to bag) – Charity Shop, Sandals – Dorothy Perkins. A few people have also been asking where my watch is from. It’s a Toy Watch and was a Christmas present from Dan that he got from Selfridges. I love it, its my little baby! Hope you all had a lovely weekend. Mine was spent working, having a family barbecue and moving my room round! I really like Saturday's outfit, I wish I could pull off a maxi dress!